A good day for me is often just finding the perfect book. Not just a good book, but the perfect book. I used to be a librarian, so sometimes that perfect book wasn't for me, but was for other people. Sometimes a book comes along that is not only the perfect book, however, but is the perfect book about finding that perfect book because your eternity depends on it. 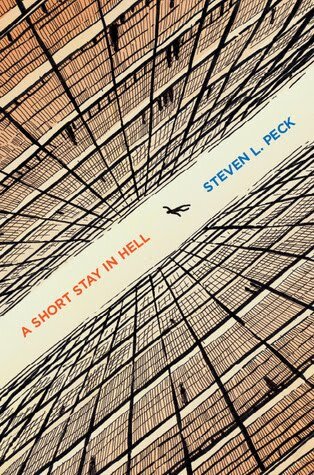 Steven L. Peck's A Short Stay in Hell is very much that book - a book I found via Goodreads and received an advance copy of, and was simply blown away. The premise is very simple - Hell is different for different people, there's only one true religion (and you probably don't subscribe to it), and the hero of our story, Soren, is in Hell and has been sent to a version of the Library of Babel, a library that contains every possible book that could ever possibly be written, and the only way out is to find your own story in a book somewhere on the seemingly limitless shelves. 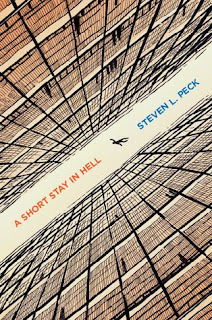 The book is great on a number of levels - it has a really fun version of Hell as is, and the book really instills the right about of depth and despair inherent in the concept while leaving room for some humor and light-heartedness. While I don't know if I can go so far as to say that there's a deeper message here, there's plenty of thoughts and ideas that come about from reading this regardless, whether it be about the reality of humanity, the inanity of seemingly pointless tasks, or just the concept of what may very well be infinite or forever. I really have no complaints about this book. Even the ending was as immensely satisfying as it was unexpected, and that is a rarity in a lot of fiction. At novella length, it makes me wish it went on longer in some respects, but also makes me very happy that there's absolutely no filler to have to deal with. I feel like this book is much better than it has any business being, and that's just a great find amongst the many shelves we have on earth. I cannot recommend this book enough, and the ebook version (which I will update this with a link once it is updated when the book comes out next week) is only $3, so you really have no excuse. The book may be here for eternity, for all we know, but I'm reasonably assured you will not be.